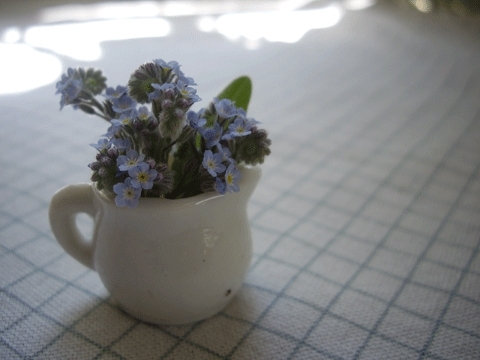 I found these teeny tiny little flowers in the garden, and couldn't resist putting them in a teeny tiny little pitcher, and making the smallest ever bouquet. 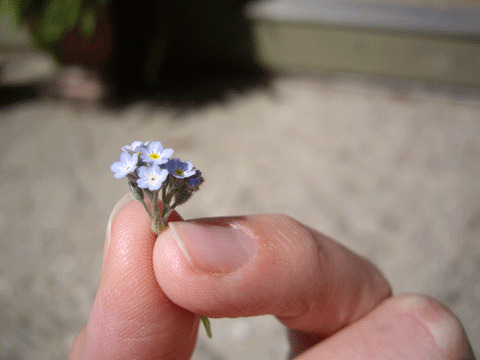 I am a bit obsessed with how cute and small this is, and it has me wishing I still played with Barbies (ha!) so it could adorn her kitchen table for a breakfast date with Ken. Sorry. 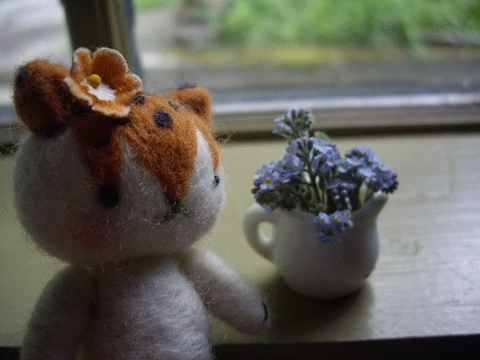 I do, however have Miss TigerLily the cat, and she is admiring the mini bouquet. It's just her size! Ahem, time to go back and get dressed Miss TigerLily! There's a wee update coming soon, with some other small critters who will be up for sale! You don't want to miss out on finding a snug new home! adorable! You said something that I say fairly often when I find something cute and tiny.. “oh this would be perfect for a barbie doll house!” of course I no longer have a barbie doll house and neither do my girls.. but I think one lives in my brain! 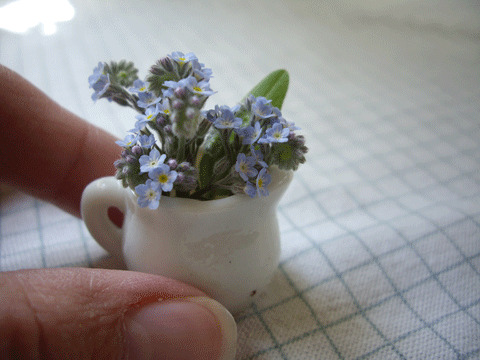 what a sweet little bouquet you made! And miss tiger lilly is pretty darn adorable too!